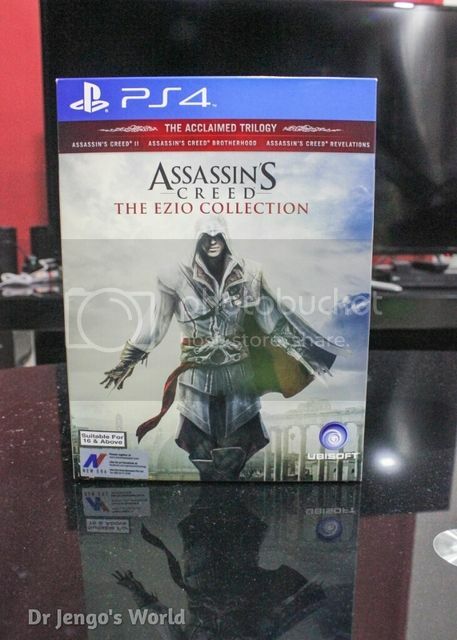 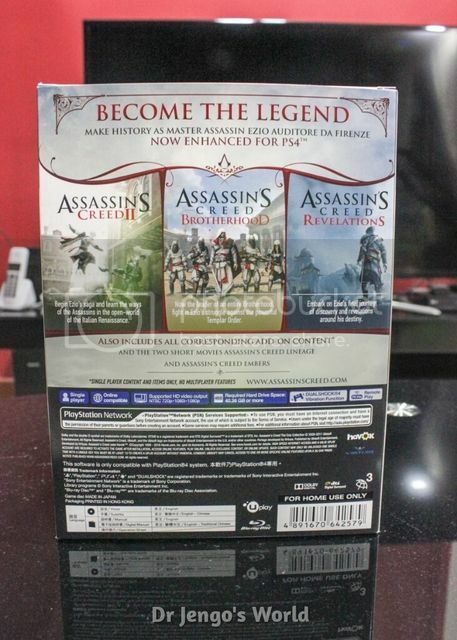 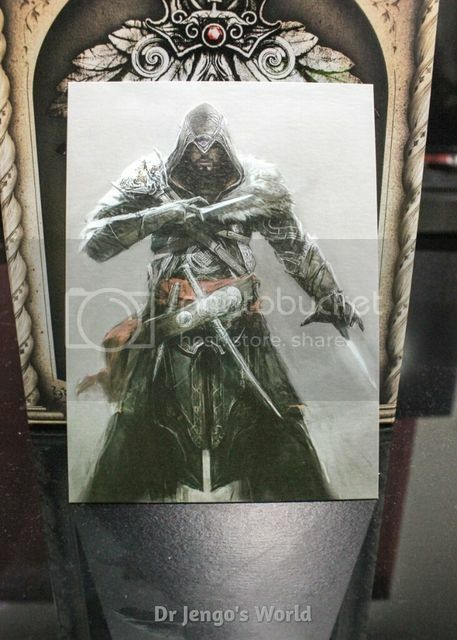 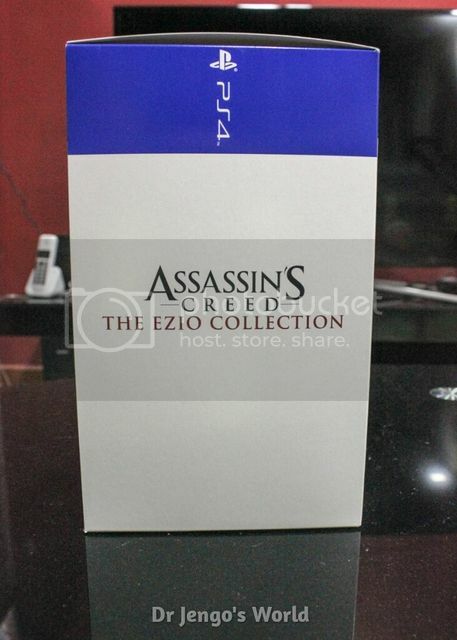 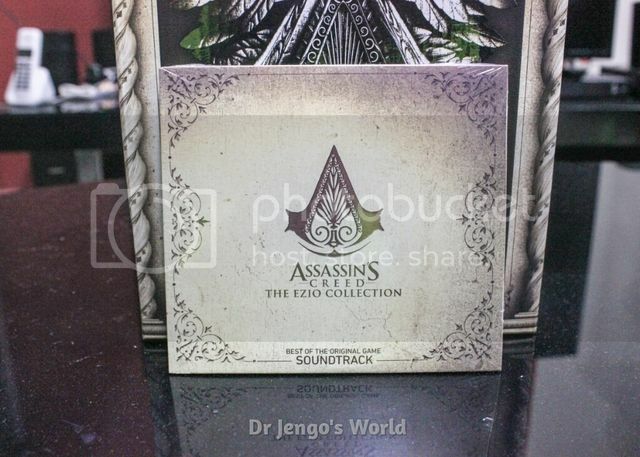 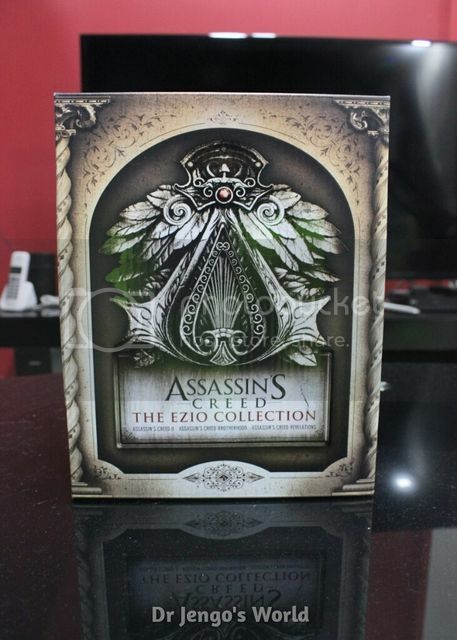 Hooted the Ezio Collection Collector's Case on it's release! 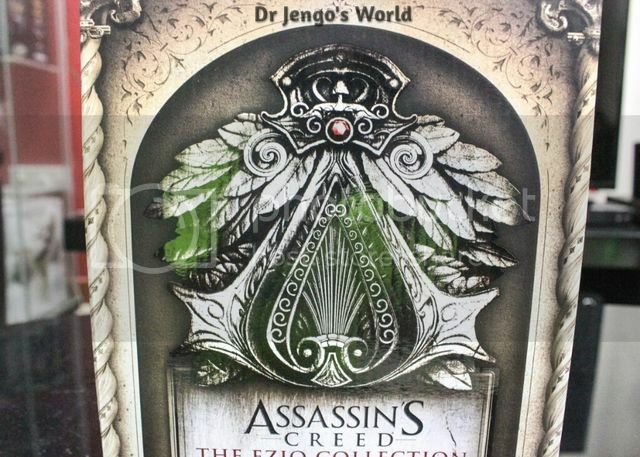 There wasn't meant to be a new AC game released for this year but Ubisoft managed to sneak in a new release accompanied by a Collector's Edition. 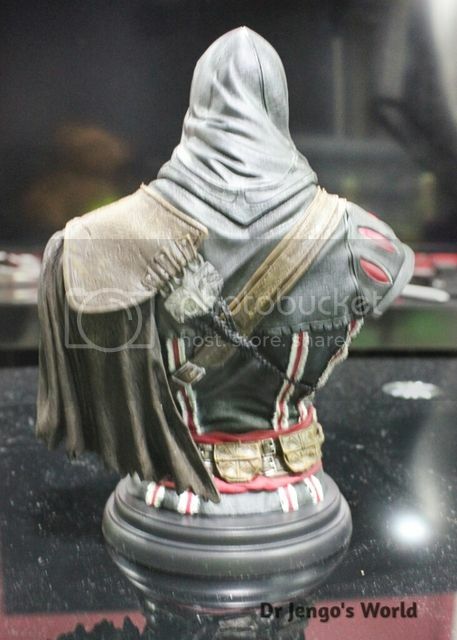 Thankfully, for those who are saving for the movie collectibles, this was the one and only Edition to collect. 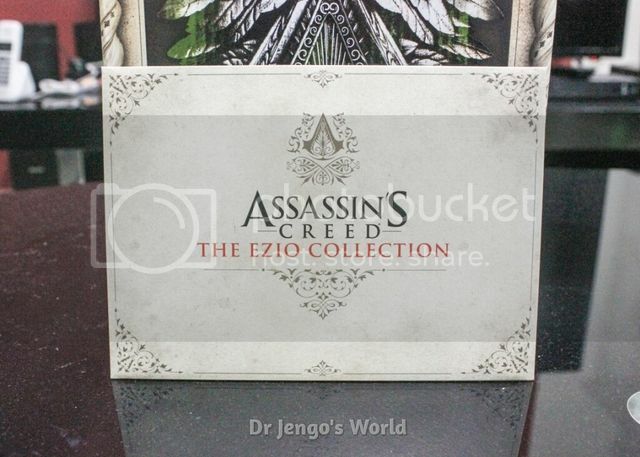 Not that there was a lack of Ezio-related collectibles.. 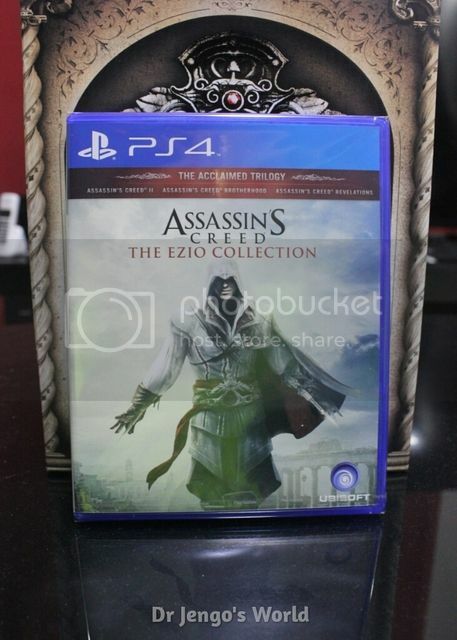 Cool art on the inner box..
Having played all the Ezio games back on the PS3, I didn't have an overbearing need to get these games again, especially with the issues on the 'remaster'. 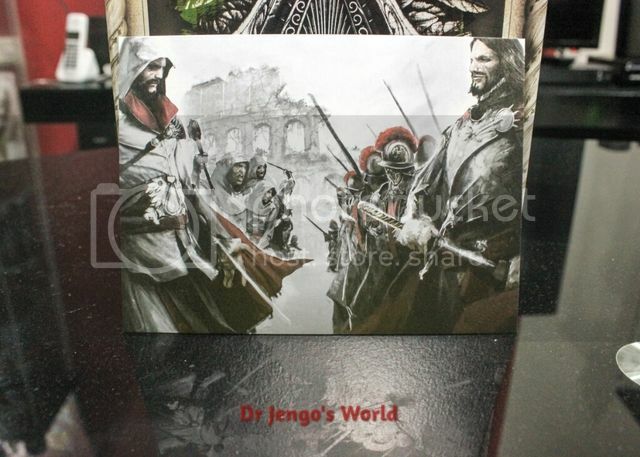 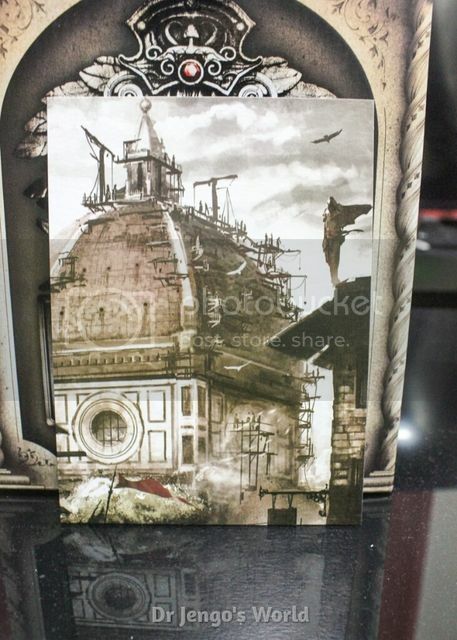 So I sold off the game..
Soundtrack and the postcard-sized lithos have always been a part of the franchise's Special Editions and it's cool to have more. 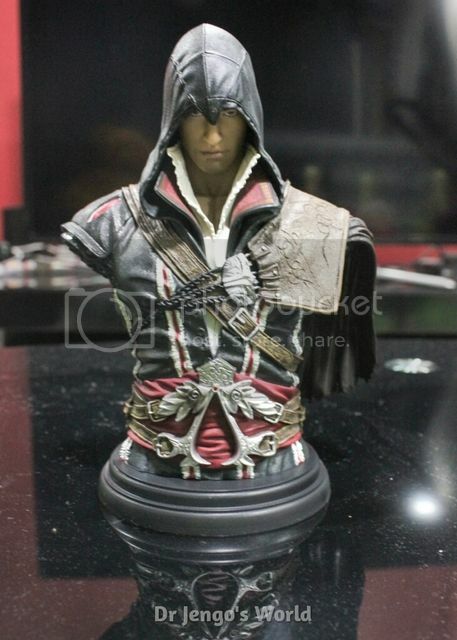 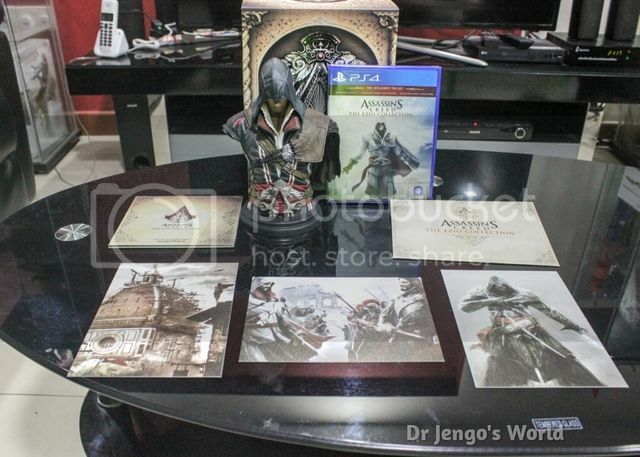 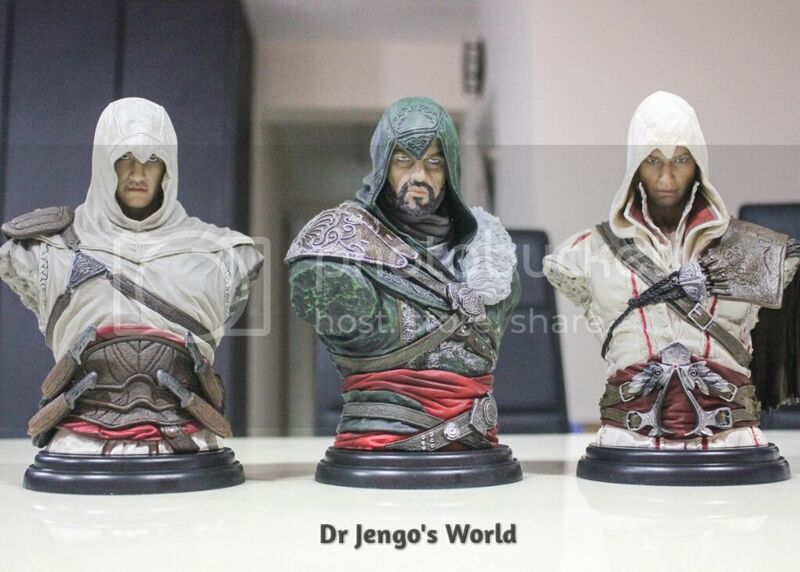 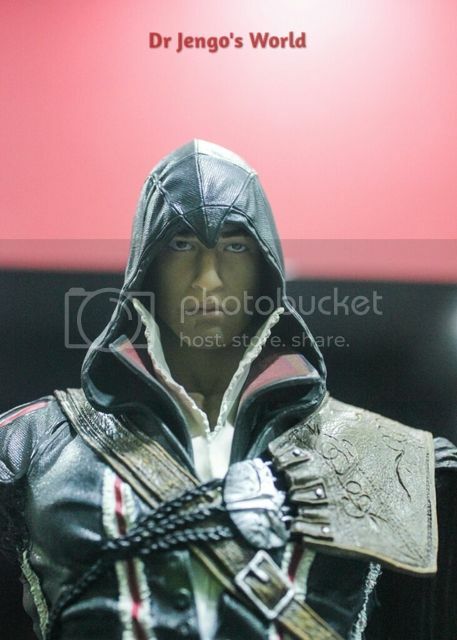 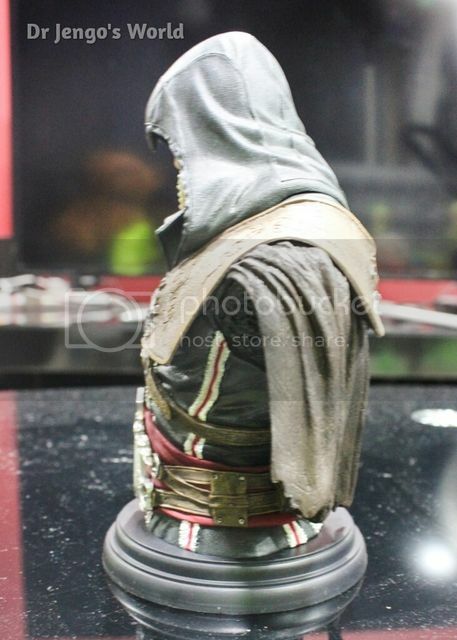 The Black Edition of the Ezio Bust however was the highlight of this one. 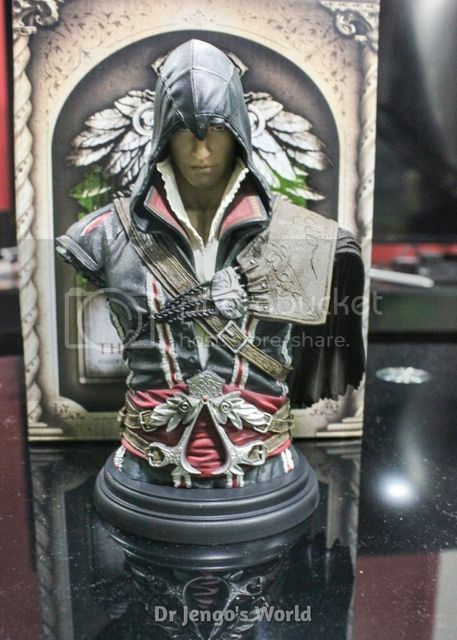 Will definitely go well with the other Busts! 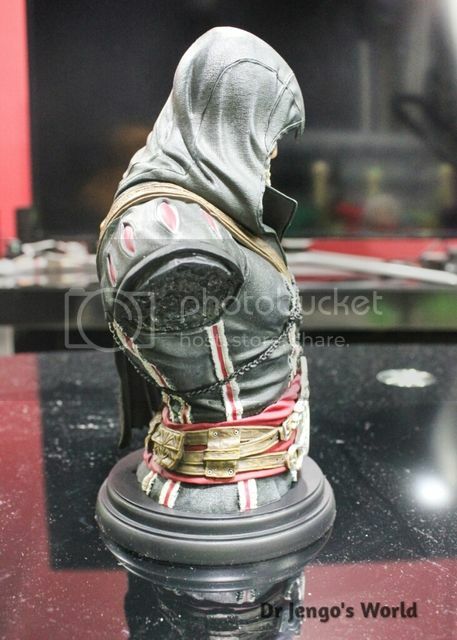 Considering I sold off the game, I could say the Bust was a steal and on top of that were the Soundtrack and Lithos.